Blink TV in partnership with SBS TWO is relaunching Tropfest, the world’s largest short film festival. ‘Change’ is the Tropfest Signature Item this year which couldn’t be more appropriate because for the first time Tropfest has a new venue and a new date. Tropfest is moving to Centennial Park and SBS 2 will bring all the action from the park straight to your living room showcasing the 16 finalist films, red carpet arrivals, as well as exclusive interviews with the celebrity judges and filmmakers before the 22nd Tropfest Australia 22 winner is announced. Since its humble beginnings 21 years ago at a café in Darlinghurst Tropfest has evolved to become a feature on the national event calendar attracting huge crowds in Sydney as well as live screenings at locations across Australia including Melbourne, Canberra, Perth, Brisbane, Hobart, Adelaide and Surfers Paradise. 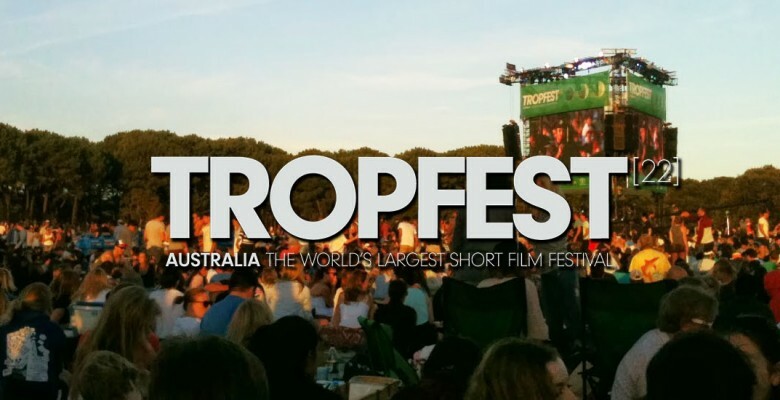 Over 650 budding filmmakers have entered their short films for Tropfest Australia 22 and the 16 finalists will be announced next week. Many of Australia’s greatest actors and directors have got their start by making or starring in a short for Tropfest. Notable alumni include international film star Sam Worthington, who won Best Actor in a 2001 short, as well as the Edgerton brothers Joel and Nash, and SBS’s cult comedy hero Paul Fenech whose film Pizza Man was a Tropfest finalist in 1995. Tropfest Australia 22 will be no exception, and together with SBS 2 it will propel the next crop of talented filmmakers to great heights, whilst simultaneously bringing quality, provocative and distinctive short films to audiences picnicking at the outdoor events and watching in living rooms all across Australia. Tropfest Online this year the chatter will go beyond the park and out of your lounge room, as SBS Online takes your conversation to the big screen. There will be a live social TV experience during the broadcast with tweets and Facebook messages displayed on screen throughout the broadcast from conversations using the hashtag #tropfest. In conjunction with the television broadcast SBS online will be streaming the broadcast live at sbs.com.au/tropfest where there will also be exclusive video extras with the finalists.